A new tool has been created in collaboration with website Top 10 Broadband which allows you to check out what kind of broadband speeds your neighbours are getting. StreetStats, which is the web equivalent of looking through net curtains and checking out if your neighbour's car is speedier than your own, hopes to bring about some transparency in the broadband market and act as a wake up call for ISPs. Speaking about the StreetStats service, Alex Buttle, marketing director at Top 10 Broadband, told BBC News: "One person at 1Mbps could be next door to someone receiving 8.5Mbps. "We know that broadband speeds will vary depending on things like distance from the exchange and the way the wiring and equipment in your house is set up, but we do not believe this explains all of the variations we have seen between people in the same street." 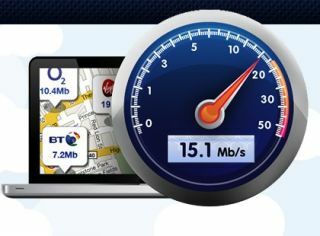 You can try out the new service at www.top10-broadband.co.uk/speedtest. However, it looks like the speed test is proving a little too popular, as when we tried to use the service it was crippled by demand, with an announcement saying: "Due to overwhelming demand, we have had to pause our new StreetStats and speed test tools for the time being." And who says we're not a nation of nosey neighbours?